Donald Trump Just Destroyed Himself—Sad! From barking at Hillary Clinton to saying he won’t accept the results of the election, Trump disqualified himself in every way. Donald Trump refused to say he would accept the results of the 2016 presidential election at the third and final debate Wednesday night. He had virtually no chance to become president even before that chilling statement, but he may have cost the GOP the House and the Senate with his dog-whistling hint at challenging election results, with no reason, should he lose. Even his most ardent defenders in the political media couldn’t defend him in the post-debate scrum I watched on television. His minions may find a way to rally on Thursday, but they will never be convincing. With his support in national and swing-state polls cratering, with down-ballot Republicans fleeing his campaign, Trump drove a huge garbage truck up to the debate and tried to dump it on front-runner Hillary Clinton. Out tumbled President Obama’s half-brother Malik, the long-ago fiancée of Libya Ambassador Chris Stevens, the stepmother of another Benghazi-attack victim, and a former GOP vice presidential nominee named Sarah Palin. No, this isn’t a nightmare I had after overeating. It really happened Wednesday night. But none of it mattered. Trump destroyed his already faint chance at the presidency in every imaginable way. He did his best imitation of Alec Baldwin doing a Trump imitation, barking “Wrong!” at Clinton over and over. At a dramatic point when Clinton was rejecting moderator Chris Wallace’s suggestion that we need a “grand bargain” on Medicare and Social Security—with an argument progressives needed to hear in its entirety—he muttered, “She’s such a nasty woman.” It’s worth noting that neither major-party candidate endorsed Social Security cuts when asked to Wednesday night. May the Grand Bargainers please find another line of lobbying work. About the charges by double digits of women that he had sexually assaulted them, Trump pleaded innocent, insisting, “I didn’t even apologize to my wife.” Sadly, his wife had just claimed on CNN, “I’ve accepted my husband’s apology.” (We at The Nation don’t normally cover celebrity divorces, but I have a feeling we might see a big one some time soon.) When Clinton talked about Trump insulting the looks of one of his accusers, he interjected, “I did not say that.” The Clinton campaign had video of him saying it ready within a few minutes. To his credit, Fox News host Chris Wallace asked tough, substantive questions as moderator. Unfortunately, often Clinton stood there trying to answer them, as Trump babbled. Asked about immigration policy, Trump promised to throw “bad hombres” out of the country. (The Latino vote margin for Clinton is climbing as I write.) To a question about Supreme Court nominees, Clinton responded, “The people I would nominate would be in the real tradition of standing up to the powerful.” Trump began: “Justice Ginsberg said very, very bad things about me.” Asked about the Court’s Heller decision on gun control, Clinton tried to make clear why she opposed it, explaining that the lower court “was trying to protect toddlers from guns.” Trump jumped in: “Hillary was extremely upset, extremely angry” about the decision, he argued, sounding a little unhinged. There were a lot of moments like that. Amazingly, the Fox News host asked a question many feminists have been begging for back to the earliest debates within the parties: What about abortion? I don’t believe a Democrat has had a more resoundingly pro-choice answer in my lifetime. Clinton backed Roe v. Wade, and when asked about late-term abortion, she was braver than any politician on the national stage. Roe v. Wade very clearly sets out that there can be regulations on abortion so long as the life and the health of the mother are taken into account…. The kinds of cases that fall at the end of pregnancy are often the most heartbreaking, painful decisions for families to make. I have met with women who toward the end of their pregnancy get the worst news one could get, that their health is in jeopardy if they continue to carry to term or that something terrible has happened or just been discovered about the pregnancy. I do not think the United States government should be stepping in and making those most personal of decisions. So you can regulate if you are doing so with the life and the health of the mother taken into account. Well, that is not what happens in these cases. And using that kind of scare rhetoric is just terribly unfortunate. You should meet with some of the women that I have met with, women I have known over the course of my life. This is one of the worst possible choices that any woman and her family has to make. And I do not believe the government should be making it. Pro-choice women have been waiting for a presidential candidate to make that argument for, well, our whole lives. 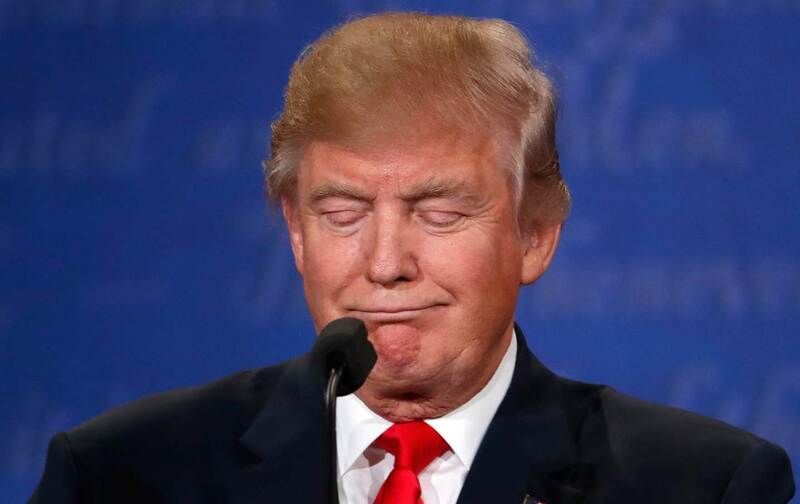 Chris Wallace and Hillary Clinton did their best to make this a debate about issues, but Trump was Trump, sniffing and huffing and grimacing and barking “no” and refusing to share his plans for governing on the off chance he should be elected. He took his birther crusade that tried to delegitimize President Obama (and failed) to the next step, by declaring that a Hillary Clinton victory will be illegitimate, too. Watching cable news after the debate, there was pretty unanimous revulsion at Trump’s claim. Let’s hope that endures when he loses. Listen to Joan Walsh discuss the debate on this week’s Start Making Sense podcast.